Contact us at (615) 625-6230 to learn more about our dog grooming services. 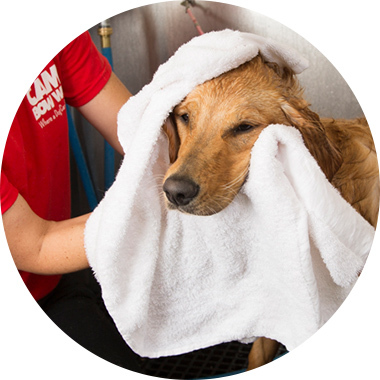 Add a bath to your dog's day care visit or boarding stay. Add a nail trim to your dog's day care visit or boarding stay. Add a doggy deluxe package to your dog's day care visit or boarding stay. Doggy deluxe includes bath, nail trim, and blueberry facial.